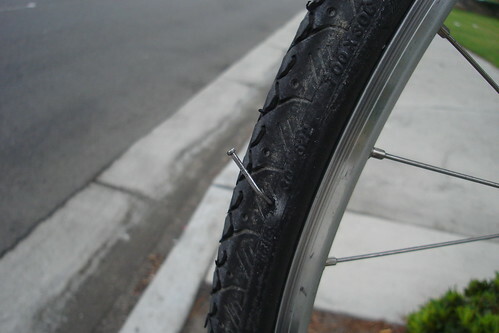 Today I rode the RedLine 925 to church, but I was sidelined when a big nail got my rear wheel. As I go through my bag, I realized that I didn’t have any tire levers. 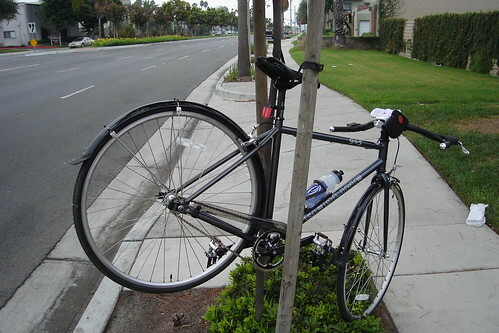 I used a tree and the support thingy as my repair stand. 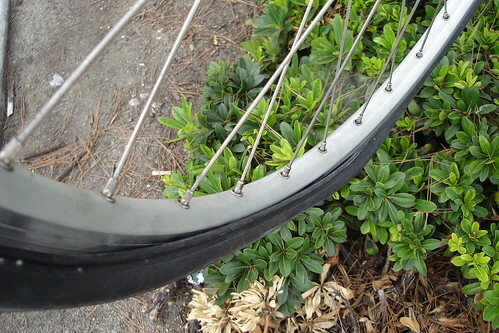 Since I didn’t have any levers, I had to use the lever on my pump to pry off the tire from the rim. 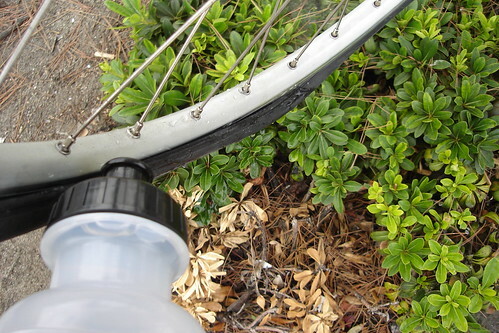 See how well it works in removing the tire! Now the next problem I had after patching the hole was placing the tire back in the rim. So I took my water bottle and applied a bit of water on the bead and rim to lubricate it enough so the tire slips right in. The guys at the auto shop do this all the time when mounting tires on the rim of a car. Then pump your tube and you’re all set! Talk about getting nailed!!! 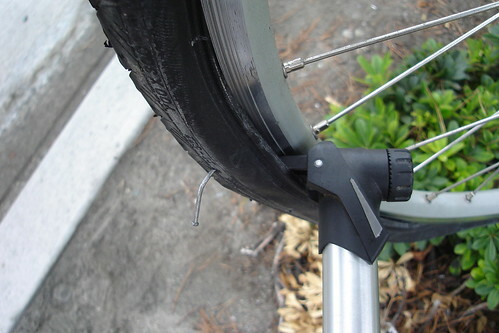 I really like your tip about using the pump lever for a tire lever. I have to remember that next time. Those are creative and helpful ideas. What is that support thingy? Did you come up with that or is that something you could buy? I like it! The support thingy werethose poles and rubber things that they put when sapplings are too weak to stand by themselves. It was just by chance that this tree was there.